Nikko lies in the mountains of Japan’s Tochigi Prefecture, about 140 kilometers north of Tokyo. It is mostly famous for the UNESCO World Heritage mausoleums of the Tokugawa Shoguns and a small carving of the Three Wise Monkeys. The temples and shrines here are very gaudy and ornate and thus quite different from most others in Japan, but they are far from the only reasons to visit. Nikko is surrounded by many famous onsen (hot springs) and the Nikko National Park boasts some of the country’s most beautiful waterfalls and scenic hiking trails. Many people visit Nikko on a day trip from Tokyo, but consider spending at least one night, if you have the time. Winters in Nikko are cold and snowy, while summers are mild and wet, but nowhere near as hot as other parts of the country, due to the altitude. The best time to visit is undoubtedly autumn, when the surrounding mountains turn brilliant shades of reds and yellows. Naturally, this is also the most crowded time. In general, the colors are at their most spectacular in the first half of November in Nikko itself, mid to late October around Lake Chuzenji and in early October in the higher elevations around Yumoto Onsen.. The best way to get there is on the Tobu Nikko Line from Tokyo’s Tobu-Asakusa Station. Get to this station by exiting the subway Asakusa station at exit 4 and heading to street level. The Tobu Asakusa Station is located at that same intersection. A ticket on a regular direct train costs ¥1320 each way. Rapid trains (kaisoku) take two hours, while the slightly slower Section Rapid trains (kukan-kaisoku) take two and a half. Make sure you board one of the last two cars, as the train divides on the way. The All Nikko Pass is good for people interested only in the lakes and waterfalls, as it grants unlimited access to all buses and trains in the Kinugawa and Nikko area, as well as some discounts on attractions, but not on any of the shrines. This pass costs ¥4400 and is valid for four days. The World Heritage Pass is good for those interested in the shrines and temples. 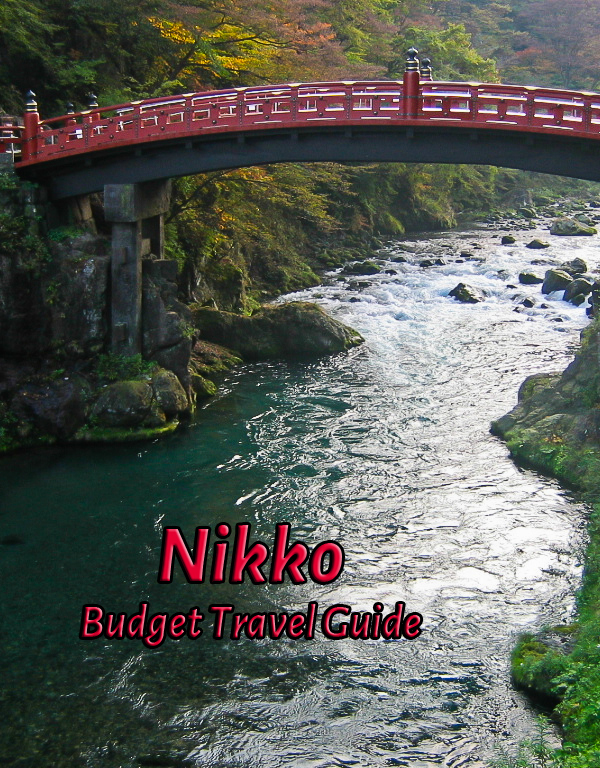 It covers the round-trip cost to Nikko and Kinugawa as well as admission to the shrines and temples. It includes a few discounts for the Kinugawa theme park, but not the bus fare to Lake Chuzenji from Nikko (around 1000 yen). This pass costs ¥3600 and is valid for two days. The Kinugawa Themepark Pass incudes round-trip fare as well as the buss pass and admission for Tobu World Square. A two-day pass costs ¥4000, but increases up to ¥7200 if you add in Edo Wonderland and Nikko Edo Village. Nikko is fairly small and you can walk most places, but there are buses for those who’d rather not. Tobu Nikko Station is located about 2 km from the World Heritage Sites and the Tobu Bus can get you there. Get on at bus stop 2C outside the train station and get off around 6 minutes later at stops 81-85. You’ll also find a Sightseeing Inquiry Office inside the train station and a Tourist Information Center halfway between the station and the shrines. You’ll find a number of options in town and a bunch more in the various hot spring areas. Many people prefer to stay in a ryokan (a traditional Japanese Inn) for the experience and I think you should try it at least once while in Japan. Nikko is a good place to do it, but it will be quite a bit more expensive than other accommodation options. The Kinugawa Onsen Hotel is a really nice ryokan that is still reasonably priced. Minshuku are a cheaper alternative to ryokan, offering a a much less extravagant, but still very Japanese, experience. The Narusawa Lodge is a good minshuku with rooms starting at $35. You’ll also find a hostel in Nikko, the Guesthouse Sumica. Dorms are just over $25 and private rooms are $35 to $40. You’ll find every foreigner in Nikko at Hipparidako, a yakitori place (Japanese chicken skewers), since it was listed in Lonely Planet. It’s on the main street just before the shrines. Personally, I’d go elsewhere, as it’s hard to get a bad meal in Japan—you can pretty much walk into any place and know you’ll leave satisfied. The area specialty is yuba, the skin that forms on top when making tofu. You’ll see it everywhere and it’s worth a try, I suppose, although I didn’t find it to be anything special. If you turn right after exiting the station, then right again at the traffic light, you’ll find a local farmer’s market in the last shop on the right just before the bridge. This is a good way to save on a meal or two or at least get some cheap snacks for the train ride back to Tokyo. For further information, check out the Nikko Tourist Association website or the city’s entry on Wikipedia.